Are you planning your next family vacations getaway? Well, then you must consider visit Costa Rica and include in your itinerary the best places of this gorgeous country. 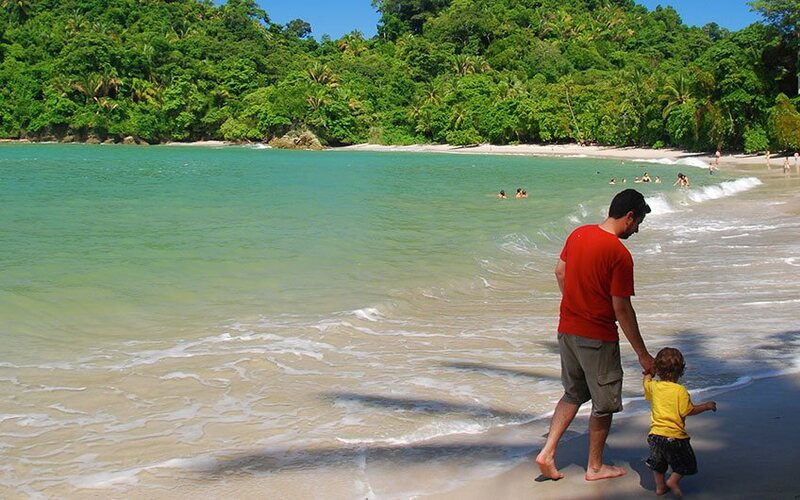 It’s not the first time that Costa Rica is named as one of the best family vacation destination. In fact, in the last years, the country has become very popular in this market due to its security, hospitality and of course, the green of its landscapes. This time, the U.S. News & World Report magazine picked out the 8 Best Family Vacations in Central and South America, and Costa Rica was first place. The beauty of its beaches, the variety of adventure activities and the exotic landscapes were some of the reasons why Costa Rica was named as the best family destination above other reputable places such as Machu Picchu and Cuzco, Rio de Janeiro and Galapagos Islands. But the real secret why Costa Rica vacations are so popular between families is that the country has something for everybody. So, even when you are traveling with kids, you can have vacation packages full of fun for children and relaxation for parents. For example, in a package such as the Unforgettable Family Holiday, everybody wins! Just to give you an accurate example, by choosing this package for your next holidays in Costa Rica you and your beloved ones will be visiting some of the highlights of the country. Our representative will meet you at the Juan Santamaria airport to take you to your hotel in San José for your first night. San José Costa Rica is a vibrant city with a lot of restaurants when you can try the Costa Rica food thanks to a great variety of culinary options from the international and most gourmet ones, to the most typical dishes… your family will love the flavors of the country since the very beginning. The city of San José also has a lot of different options to see and enjoy, for all ages and interests. So, if you are planning your stay in our country, then we must suggest you to include at least one or two days in the capital before you start packing for your next adventure. Then, you will be driving towards the Caribbean side of the country, a fun and learning trip is about to start since you take the bus! 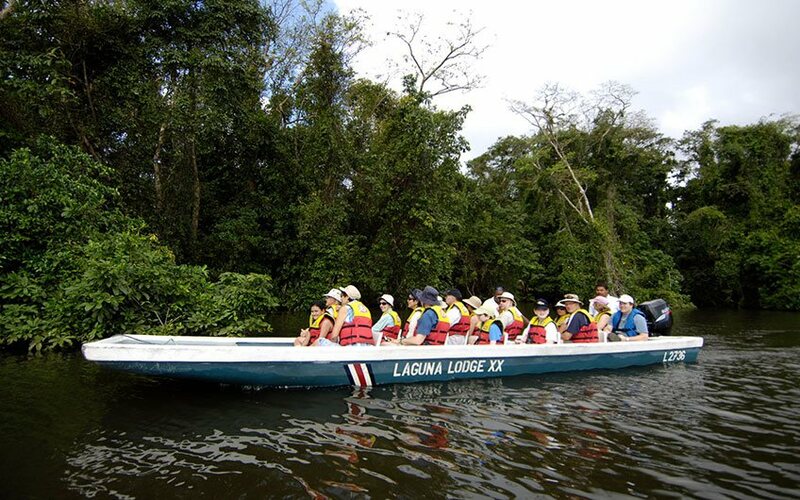 Specifically, you will be visiting Tortuguero, a magnificent and highly biodiverse region where you will enjoy amazing views, true contact with nature, incredible birdwatching opportunities and different tours for the delight of your family. From Tortuguero to La Fortuna Costa Rica, the next stop during your family holiday¸ you will enjoy great views of the landscapes as you travel among the scenic places of the country. Probably, you will notice some variations on climate, as the weather is highly variable and you can experience rain, sun, cold, and windy times all of it during the same day. When arriving to Arenal area -where the Arenal volcano is located- you will have time to enjoy in one of the best family hotels, as we will select the option that fits better into your budget and your expectations. The area is famous due to the lot of activities that can be done there as well as the beauty of their landscapes. The next destination will be Monteverde, a quiet village set amidst lush vegetation and impressive landscapes. The weather here is usually cold and windy, but as in every other part of Costa Rica, it is very variable. But it is definitely a “must add” into your family trip to Costa Rica. And, to end this example of an affordable Costa Rica vacation package then your family will be headed to one of the prettiest beaches in the North Pacific area of Costa Rica: Guanacaste. Here you will be visiting the well-known beach of Punta Islita. 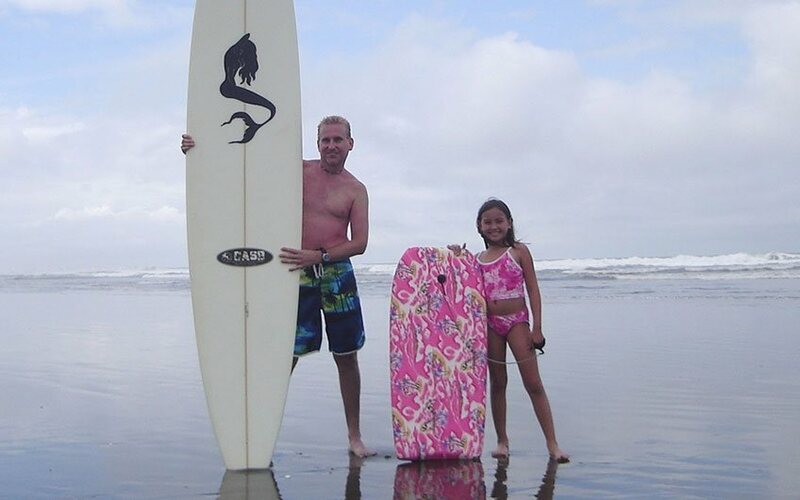 A lot of family activities in Costa Rica to enjoy and discover, as well as an excellent location to have a relaxed stay with your beloved ones. 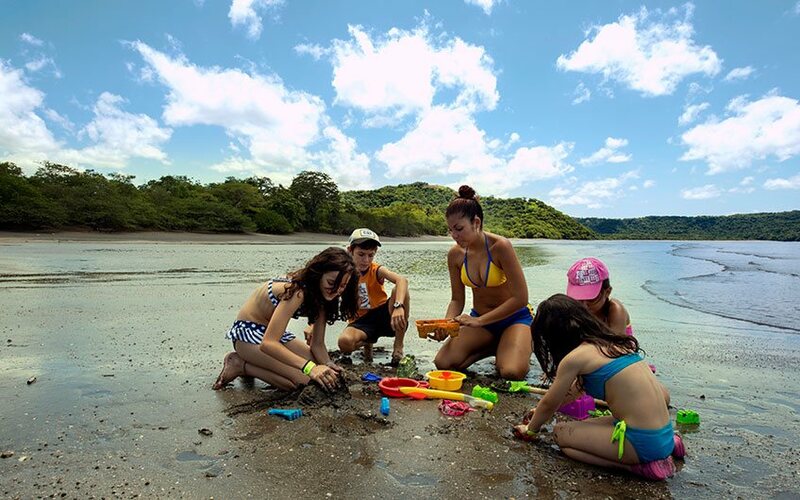 But, this is not the only beach where you can enjoy a family life in Costa Rica, there are other great options too to discover and enjoy while spending the most unbelievable time in the country. If you want to stay closer to the Central Valley, then you can visit Jacó Beach which is located just about two hours driving from the city. Manuel Antonio is always a good idea too, as it has a beautiful beach, with lots of restaurants and fun activities to do in the area. Or, if you are travelling with teenagers and looking for a most vibrant beach, then a good option to include in your family vacation ideas is definitely Tamarindo Beach. A surfers paradise with a relaxed and at the same time energetic nightlife options. At the moment you start planning your vacations you must be aware of what exactly you want or expect during your visit. Costa Rica is a diverse country that can offer you the best accommodations in small and cozy hotels or in great all-inclusive resorts, as an ideal way to spend your time in the best family resorts in Costa Rica. 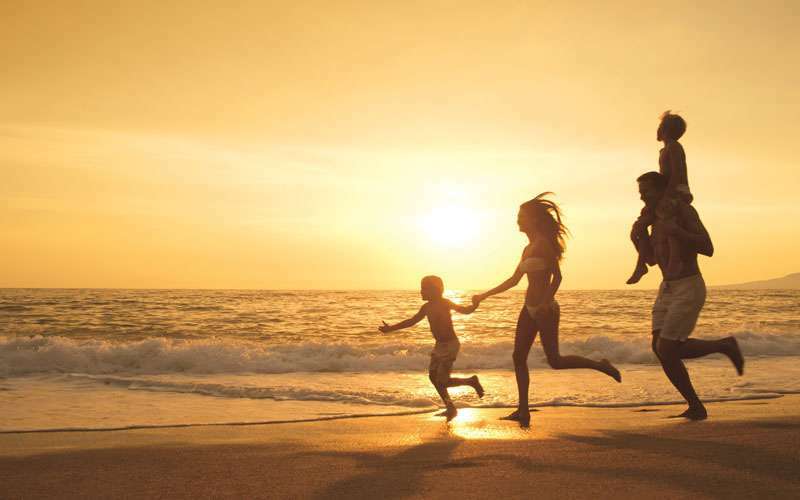 Don’t wait too much to start planning your family vacations in Costa Rica, time passes by and you and your family certainly deserve a time in Paradise! Contact us if you want more information about our options and vacation packages!